BOULDER, CO--(Marketwired - October 30, 2014) - SolidFire, the leader in all-flash storage systems for the Next Generation Data Center, today announced an agreement with SYNNEX Corporation (SNX), a leading provider of IT products and services, to provide distribution and integration services for its Agile Infrastructure (AI) family of converged infrastructure designs. The modularly scalable AI platform is designed for the efficient consolidation of mixed workloads. Under this agreement, SYNNEX delivers fully integrated AI designs to its reseller channel to help customers accelerate the transition to a more dynamic IT infrastructure. SolidFire's AI solutions are available through SYNNEX' network of resellers in Q1 2015. AI for OpenStack. This AI solution enables drastically simplified deployment of an OpenStack cloud infrastructure through the combination of industry-leading technology from Red Hat, Dell and SolidFire. Read more here. AI for Virtual Infrastructure. Announced at VMworld® U.S. 2014 in San Francisco, this design incorporates industry-leading technology from VMware and Cisco to accelerate deployment of a scalable virtualized IT infrastructure for unprecedented consolidation of mixed application workloads onto a single platform. Read more here. "Enterprises are under considerable pressure to deliver a broad set of IT services with greater speed and agility than ever before," said SolidFire's Founder and CEO Dave Wright. "A key part of SolidFire's value is our ability to remove the complexities of cloud deployment and management. Our Agile Infrastructure family of converged infrastructure designs provides enterprises with a proven roadmap for deployment that takes advantage of the mixed workload consolidation, deep infrastructure automation and granular scale benefits native to SolidFire's all-flash array. By aligning with SYNNEX for the distribution of AI, customers can now stand up a dynamic self-service IT infrastructure in significantly less time, with less space and for less money than alternative converged infrastructure offerings." "With the many components that compose a cloud infrastructure, the ability to successfully design and deploy a functional cloud environment is often impaired by issues encountered at various stages of implementation including configuration, testing and installation," said Bob Stegner, Senior Vice President, Marketing, North America, SYNNEX Corporation. "Through this agreement, SolidFire, SYNNEX and our broad network of reseller partners can drastically simplify cloud infrastructure deployment and accelerate time to value for customers looking for a more programmatic and agile IT infrastructure." 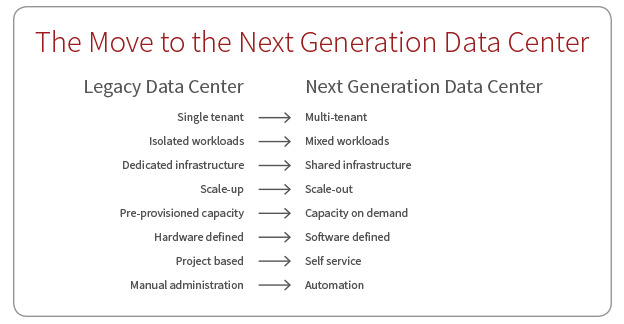 "The enterprise seeks turnkey solutions for cloud," said Red Hat's senior director of Global Ecosystems, Mike Werner. "Our collaboration with SolidFire, Dell and SYNNEX is aimed at delivering a converged OpenStack platform that enables enterprises to take advantage of the scalability, simplicity and control enabled by Agile Infrastructure." "To confidently navigate the journey to the Software Defined Data Center, enterprises are demanding their IT infrastructure to deliver increased levels of predictability, automation and scale," said Mike Adams, director of VMware vSphere® product marketing, VMware. "SolidFire's Agile Infrastructure, including integration with VMware vCloud® Suite™, helps customers accelerate the transition to a more dynamic virtual infrastructure that can support mixed workload consolidation." SolidFire will be in Paris, France at the OpenStack Design Summit from November 3-5th. Visit booth D2 to learn more about the Agile Infrastructure family and how SolidFire delivers true storage agility to the Next Generation Data Center, email info@solidfire.com or visit the SolidFire Agile Infrastructure solutions page. SYNNEX Corporation (SNX), a Fortune 500 corporation, is a leading business process services company, optimizing supply chains and providing customer care solutions for its clients. The Company distributes a broad range of information technology systems and products, and also provides systems design and integration services. The Concentrix segment offers a portfolio of end-to-end outsourced services around process optimization, customer engagement strategy and back-office automation to clients in ten identified industry verticals. Founded in 1980, SYNNEX has over 50,000 employees worldwide. Additional information about SYNNEX may be found online at www.synnex.com. SYNNEX, the SYNNEX Logo, and all other SYNNEX company, product and services names and slogans are trademarks or registered trademarks of SYNNEX Corporation. SYNNEX and the SYNNEX Logo Reg. U.S. Pat. & Tm. Off. Other names and marks are the property of their respective owners. VMware, VMworld and VMware vSphere are registered trademarks or trademarks of VMware, Inc. in the United States and other jurisdictions. The use of the word "partner" or "partnership" does not imply a legal partnership relationship between VMware and any other company.